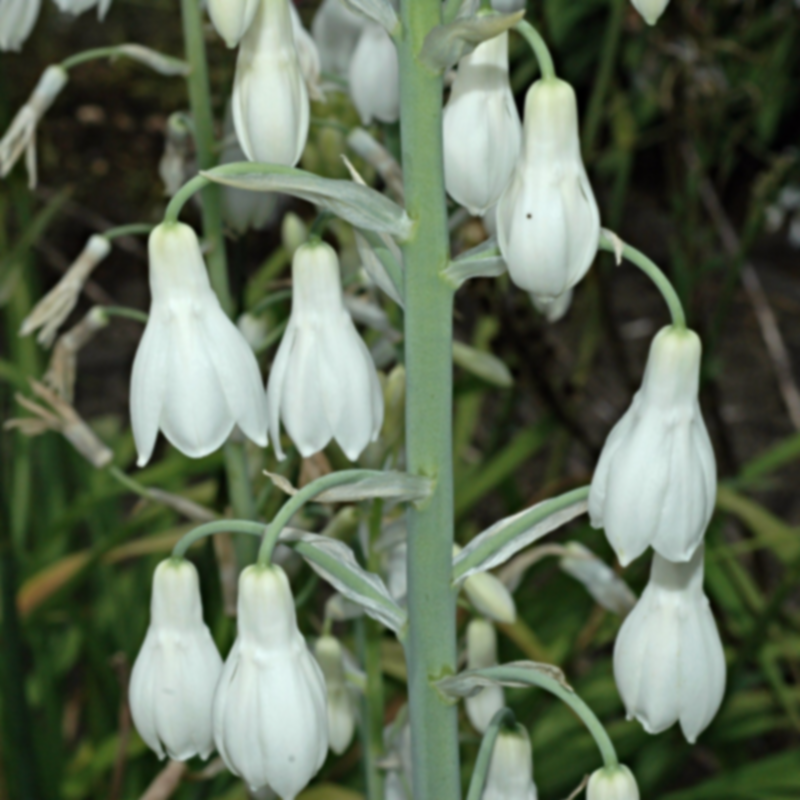 Regal white bell shaped flowers (up to 30 mm long) are fragrant and long-lasting. They are mostly pure white, but the tube is sometimes pale green on the outside with a very pale green median band running up the back of each lobe. Since the bulbs aredormant in winter, they are extremely frost hardy and are ideal for areas with high summer rain and cold winters - perfect for the UK! Cape Hyacinths prefer full sun and look best at the back of a border.